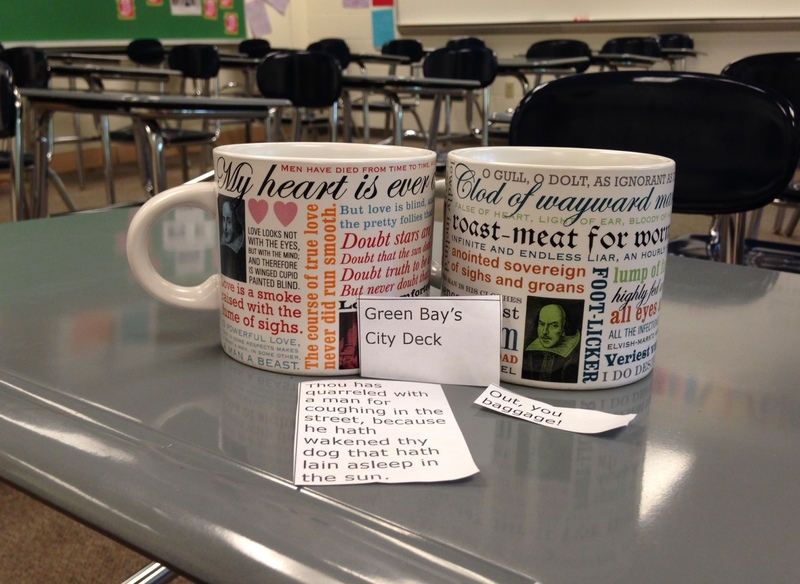 played a game of “Shakespeare in a Mug,” my modification of “Shakespeare in a Can,” an activity I learned from Michael Tolaydo and Caleen Jennings at the 2014 Teaching Shakespeare Institute. The results? A fun 45 minutes that taught me a lot about who my students are and what they need in the year ahead. Partner “A” takes a line from one mug. Partner “B” takes a line from the other mug. Allow time for students to plan a small improvised scene that takes place in their location/situation and involves both of their lines. I also allowed students to add a line or two of their own to help set the scene if necessary. When time is up, students perform their brief scenes for the class, and everyone earns a round of applause! My students need models. When they first received their lines and situations, my freshmen struggled to figure out what their lines meant, how they fit together, or why someone might utter them in their chosen situation, but after I modeled a quick scene with a brave volunteer (we were rival Packers and Bears fans who got into a scuffle at Lambeau), they understood what to do. My students are kind and brave. One line that made it into my mix was “Go thy ways, wench” (2.5.46) from a conversation between the Nurse and Juliet. It’s not an insult in that conversation, but it sounds like one. A boy who had been partnered with a girl picked the line from the mug and quickly asked to exchange it; his refusal to call a classmate “wench” made my heart melt a little bit. Later in the week, I asked students to write letters of introduction. A few students admitted to being very nervous about public speaking, but they took on the “Shakespeare in a Mug” challenge with gusto! Shakespeare on Day 1= Critical thinking on Day 1: Students had to puzzle out the tone of their performance by thinking about what words meant and what lines sounded like when read aloud. When groups weren’t sure about how to fit their lines into their situations, a few questions about the conflicts, meetings, or actions that normally happen in their location—a process not unlike using context clues to determine a word’s meaning—were all they needed to put the scene together. “Shakespeare in a Mug” is open to interpretation. When I first played “Shakespeare in a Can,” partners kept their lines a secret from each other, but I modified the game to create more opportunities for conversation and collaboration on the first day of the new year. I’ve read about other versions of this activity that use small groups rather than partners. “Shakespeare in a Mug” also doubled as my classroom icebreaker; I required partners to learn fun facts about each other introduce themselves to the class prior to their performances. Were the scenes perfect? No. Did we laugh a lot? Yes. Did my students learn that my classroom will be a safe place to collaborate, make mistakes, and be creative? I hope so. And did I get a snapshot of the funny, kind, shy, smart, creative, bold, goofy, determined, friendly, inspiring learners my students are? Absolutely. In July 2014, 25 teachers from all over the country gathered at the Folger for an intensive month-long study of Shakespeare sponsored by the National Endowment for the Humanities: the Teaching Shakespeare Institute. Working through the lenses of scholarship, performance, and pedagogy, participants completed three major projects: 1) a research paper using items in the Folger collection, 2) a collaborative performance presentation, and 3) two short video tutorials on technology-rich strategies for teaching Romeo and Juliet and Twelfth Night. This last one is directed especially at you, our teaching colleagues. Today we’re diving into Act 1 of Romeo and Juliet, and we’re lucky to have English teacher Stefanie Jochman as our guide. She’s going to walk you through what to watch for in her videos—and how she’s adapted the strategy this year in class. This video lesson explains how teachers can use Mozilla Popcorn Maker, a web-based video-editing program, to explore Act I, Scene 5 of Romeo and Juliet, specifically the “Holy Palmer” sonnet. My Popcorn Maker video seeks to solve a problem teachers sometimes encounter when conducting multimedia studies: lag-time between loading video clips or showing images. Using Popcorn Maker, I knit film clips, ballet excerpts, and digital images from the Folger Library’s Luna database into one fluid video that also displays focus questions for each medium. Compilations like the one I create in this demonstration help students to analyze the representation of a key scene in a variety of artistic media (Common Core Reading Literature Standard 7) or analyze how artists like Sondheim or Zeffirelli draw on source material from Shakespeare (Common Core Reading Literature Standard 9). The Romeo and Juliet multimedia study remains one of my favorite lessons in my Romeo and Juliet unit because students’ responses to the discussion questions are so impressive. Some of my students have never watched ballet before this lesson, but their knowledge of Romeo and Juliet the play, one seemingly-difficult medium, helps them to make sense of another. 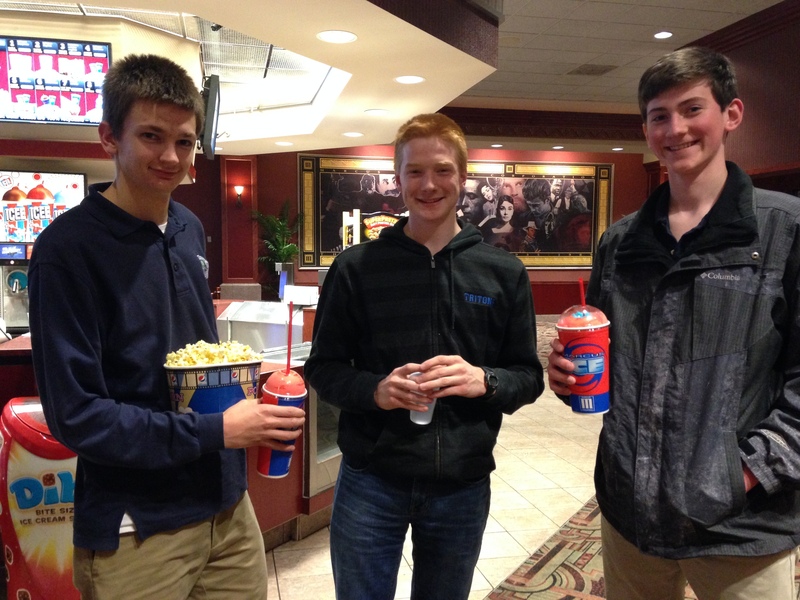 During this lesson, students recognize and hone the analytical skills they already employ whenever they go to the movies, watch TV, or glance at a piece of art on the street, in their houses, or in a gallery. When asking freshmen to compare representations of Act 1, Scene 5, I try to focus on the scene’s essential elements: the language of the “Holy Palmer” sonnet, Romeo’s feeling of “love-at-first-sight,” Juliet’s youth, and the tension between the Montagues and Capulets (personified by Tybalt). I think students surprise themselves with how quickly they notice details in costuming and performance that communicate those elements. 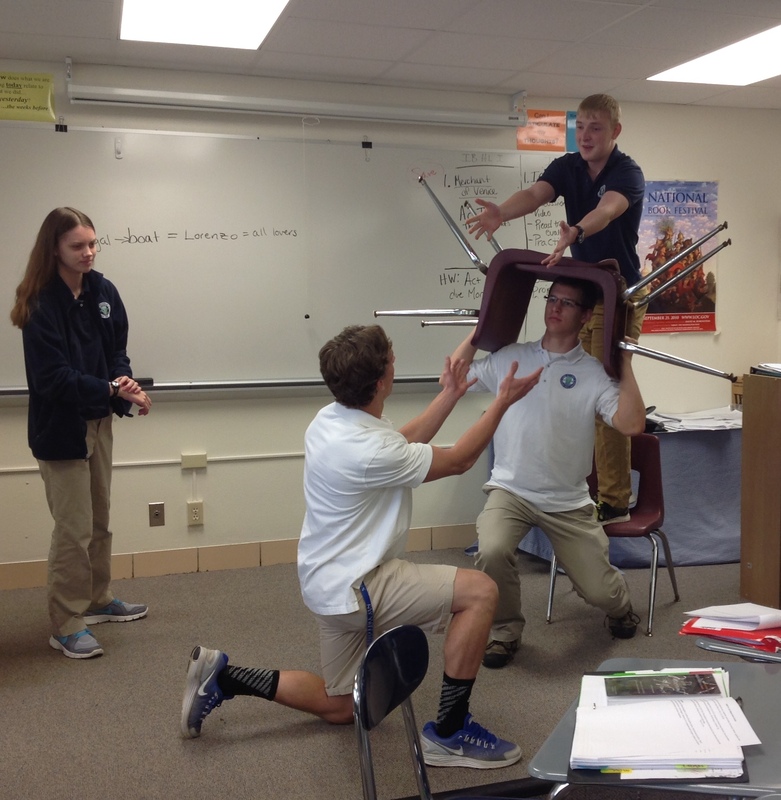 My Romeo and Juliet multimedia study inspired a similar exploration with my IB junior class of Shylock’s “To bait fish withal” speech from The Merchant of Venice. I challenged those older, advanced students to determine the scene’s “essential elements,” and I let their observations (rather than my own pop-up questions) guide discussions of the clips. Actors’ interpretations of Shylock’s speech vary so wildly that the end result of our study was a greater appreciation for the nuance of Shakespeare’s language. I also shared Popcorn Maker and other video tools with some of my senior IB students, and they used the program to demonstrate how the Byronic hero survives in superhero movies. In the future, I hope to develop a compilation and analysis assignment that requires students to independently assemble and analyze multiple representations of a scene, poem, chapter, or character. Feel free to send me your questions or ideas on Twitter (@MsJochman).